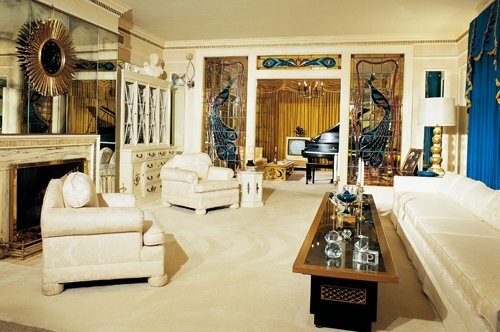 Your first stop inside Graceland Mansion will be the foyer where you can view Elvis' living room, dining room, the stairways, and his mother's bedroom. Here in the foyer was often where special guests were received and shown to the living room, where they would await Elvis to greet them. Elements of decor you see in these rooms today span all of the Elvis eras at Graceland, but the look is primarily the late 1960s to early 1970s incarnation. Next, you will travel through Elvis' kitchen to his downstairs area which includes the TV room and pool room. As you make your way back upstairs, you can explore the famous Jungle Room with its green shagged carpets, Polynesian feel and exotically carved wood. This room was once the exterior access to the basement. In the 1960s, during one of Elvis' home improvement projects, it was added to the back of the house - first as a screened in porch and then closed in as a room a few years later. 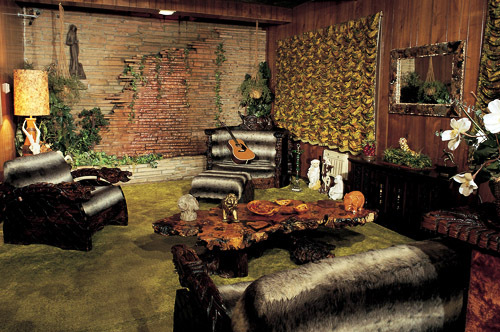 In 1974, Elvis redecorated with the current furnishings he stumbled upon at a Memphis furniture store. This room became a family favorite and Elvis liked it in part because it was reminiscent of Hawaii, where he enjoyed vacationing, film-making and performing. After touring the Graceland Mansion, check out the other great parts of the 14-acre estate as you enter Vernon Presley’s business office. While it was Colonel Tom Parker who managed Elvis' career, it was Elvis' father Vernon Presley who managed his personal business. This building served as his office. Mr. Presley oversaw all of the details of Elvis' personal finances and the management and staffing on the grounds of Graceland. Outside in front of the office is a swing set Elvis bought in the 1970s for Lisa Marie to enjoy along with her cousins and friends. Next, visit Elvis’ trophy building, which has been newly updated to tell the personal story of Elvis, his family and Graceland mansion. 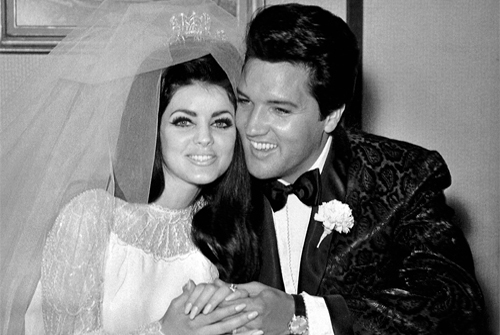 See a family tree, Elvis and Priscilla's wedding attire, Lisa's childhood toys and mementos, Elvis' keys to Graceland and more. The building also houses a display of Elvis' police badge collection, as well as furniture from Graceland's "red period." 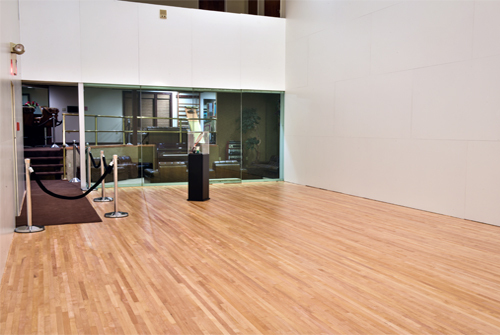 Then, step inside Elvis' racquetball building, which has recently been restored to its 1977 condition. See Elvis' racquetball court as well as the luxurious lobby area, which features a pinball machine and a piano. The final stop on the tour of Graceland Mansion is Meditation Garden, where Elvis and members of his family have been laid to rest. 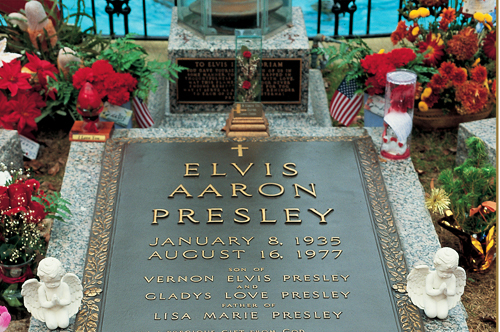 Millions of fans from around the world have come to Graceland to pay their respects to Elvis - the humanitarian, singing sensation, movie star and King of Rock 'n' Roll. *Audio-guided multimedia iPad Graceland tours are available in a choice of languages: English, Spanish, German, Italian, French, Mandarin Chinese, Japanese, Portuguese, and Dutch. After a tour of Graceland mansion, our VIP and Elvis Experience guests can continue their experience at Elvis Presley's Memphis. 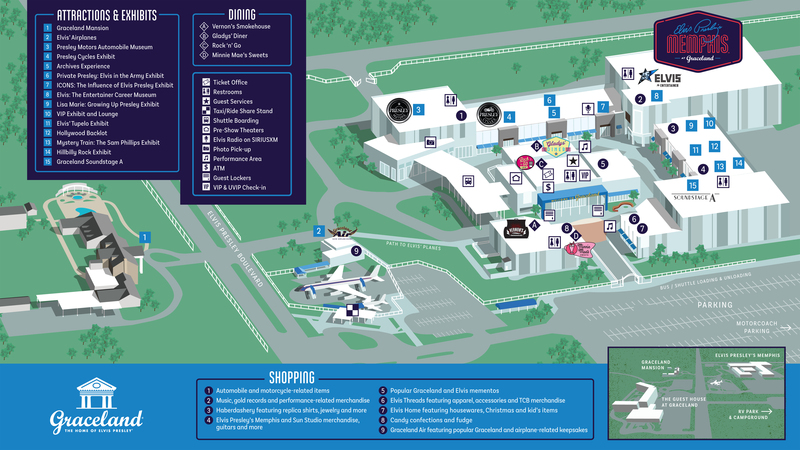 Want to know more about Graceland? Graceland's rich history is part of the fun! 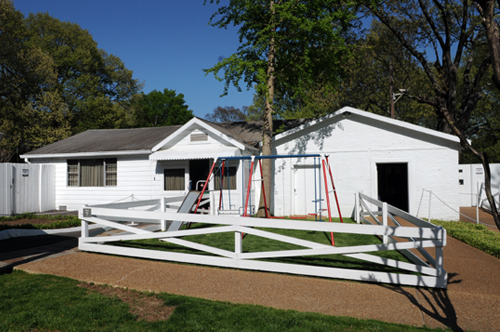 Click here to learn more about Graceland's history.